We took a look back at our history and pinpointed some of our proudest moments. Here are our top four moments. 2005-2006: This was a particularly great year for our undergraduates. The Chapter received a Silver Rating in the accreditation process, a system developed by Lehigh University to measure the performance, strength, and development of Greek member houses. 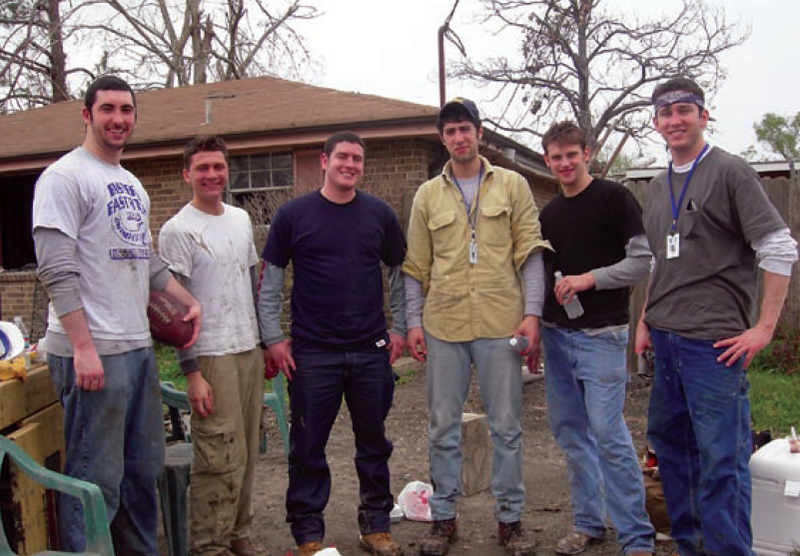 Spring 2006: Six undergrads traveled to New Orleans and helped rebuild houses after Hurricane Katrina destroyed or damaged over 200,000 houses in 2005. October 2008: Members celebrated not only Lambda Chi Alpha’s 100th Centennial, but also Gamma Psi’s 85th Anniversary at Lehigh. Many of our alumni returned for good food and great friends. All in all, everyone had a great time. Fall 2013: Lambda Chi achieved a 3.22 GPA for the fall 2013 semester, which ranked us with the #1 GPA out of all fraternities on campus. In addition, the chapter was dubbed the “most desirable house” in a poll taken by freshmen and presented to the Office of Fraternity and Sorority Affairs. Did we miss one of our biggest achievements or best moments? Let us know by EMAILING US or letting us know by logging in and replying to our DISCUSSION BOARD.